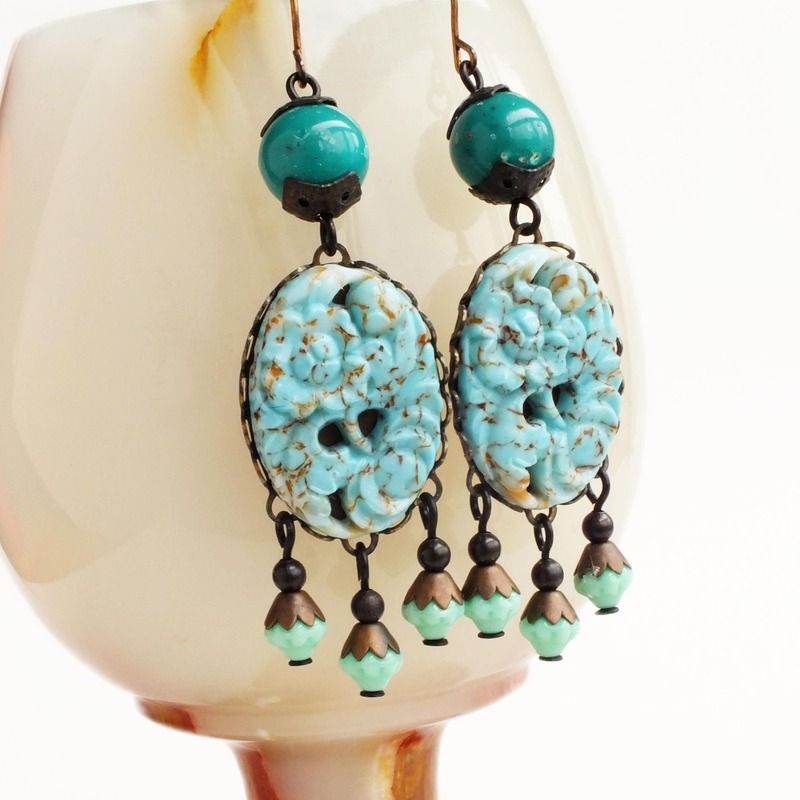 Handmade turquoise chandelier earrings with vintage carved glass cabochons and green beads. US made oxidized brass ear wires and settings. 2 7/8 inches - 7.3 cm long. 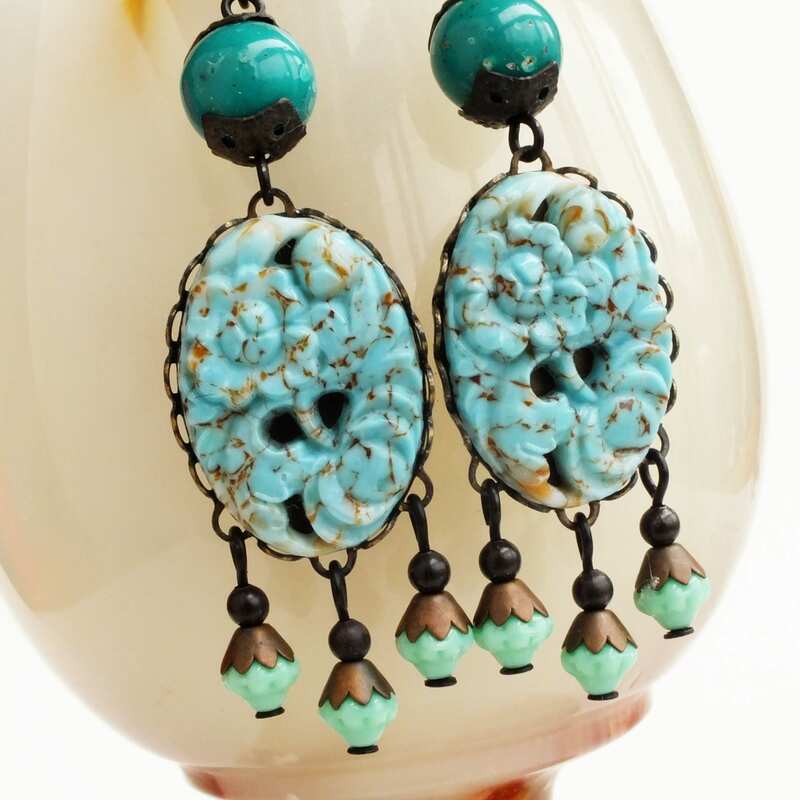 Made with gorgeously detailed large vintage carved glass cabochons etched with an abstract floral pattern. 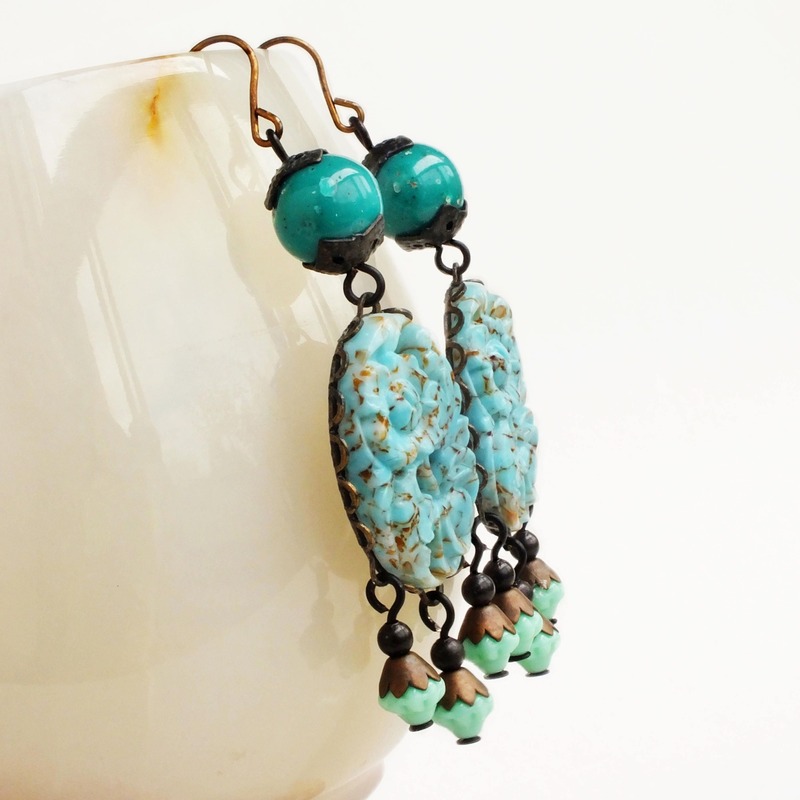 The stones are very realistic imitations of turquoise gemstones complete with brown 'matrix'! 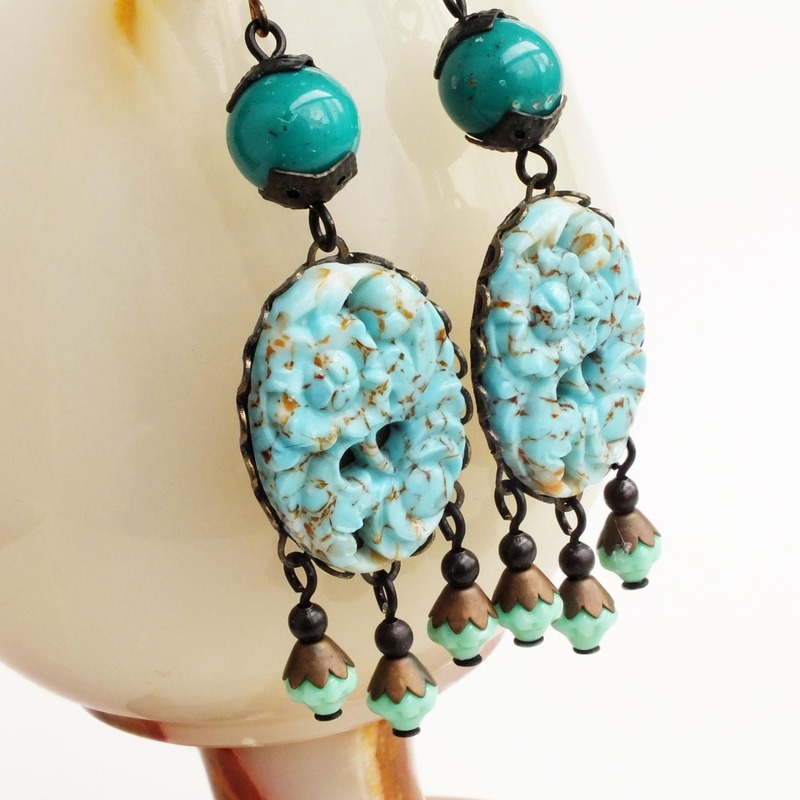 Set in dark lacy brass settings adorned with dangles of pastel aqua glass beads with dark weathered copper bead caps. 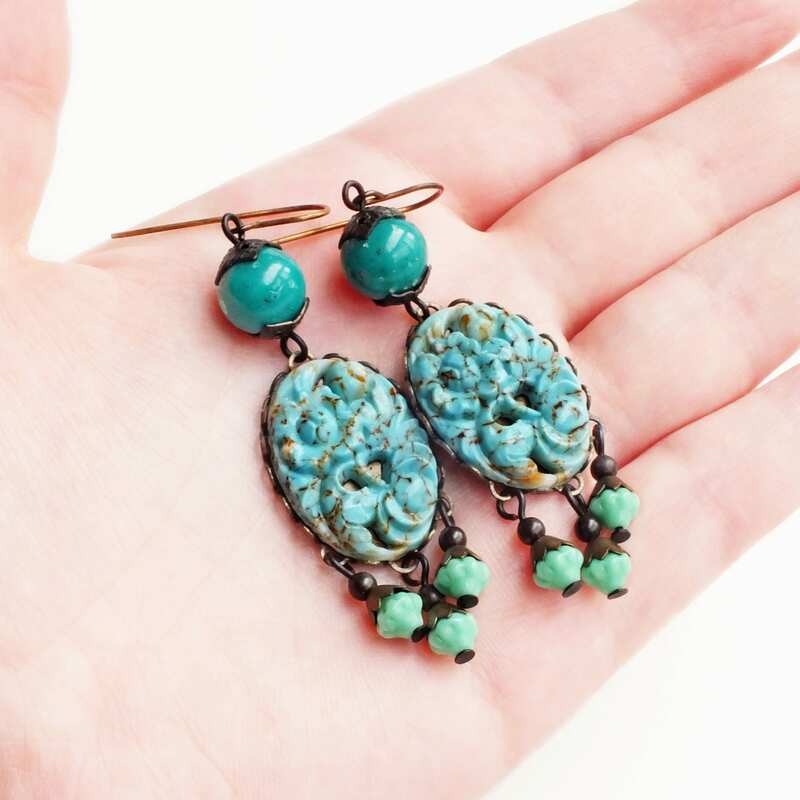 Topped with deep green vintage Lucite beads.